The Haitian Revolution had it roots in the mistreatment of the black slaves, who constituted ninety percent of the population, the dissatisfaction of the white planters with the French government, and the desire of the free persons of color to achieve the rights of citizenship. Research papers on the Haitian Revolution can be written on any aspect of the bloody revolution in Haiti. Paper Masters history writers will explore the topic for you in a complete research paper with relevant and timely sources from academic and scholarly articles. History books with the entire Haitian Revolution documented will also be used. Get your project completed today. 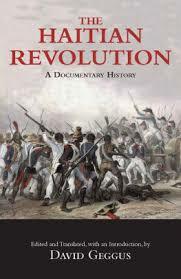 The Haitian Revolution had it roots in the mistreatment of the black slaves, who constituted ninety percent of the population, the dissatisfaction of the white planters with the French government, and the desire of the free persons of color to achieve the rights of citizenship. Each group had its own agenda and often worked against the other rebel groups. The spark that set off the revolution occurred on 21 August 1791 after a Voodoo service. Blacks rose up across the French colony then known as San Domingue. Whites were slaughtered, and plantations were destroyed. On 18 September 1792, France sent Leiger Sonthonax to regain control of the situation. He largely succeeded in containing the rebellion, but war with Britain undid his work. Britain and her ally, Spain, invaded the island and encouraged the slaves to continue the rebellion. One of the chief rebel leaders was Toussaint L’Ouverture, a former slave, now a rebel general, who allied himself with the Spanish. After Sonthonax freed the slaves on Haiti, Toussaint returned to the French side. The British and Spanish incursions were unsuccessful, and Toussaint, through political and military maneuvering, made himself ruler of the island. Toussaint professed loyalty to France, but acted as an independent head of state. This irritated the new French leader, Napoleon, who wanted to regain control of Haiti. He sent General Leclerc and a French force to retake the island. Toussaint was driven from power and eventually arrested through French treachery. This incensed the former slaves, who renewed the rebellion. One of Toussaint’s most capable generals, Jean Dessalines, a brutal, sadistic leader, abandoned the French and took command the rebel forces. It was a campaign of elimination by both sides. With help from the British and the effects of yellow fever on the French force, the rebels were victorious. On 1 January 1804, the French gave the colony independence, and Dessalines renamed it Haiti, or “higher place”. French Revolution and Napoleon Research Papers delve into an order placed on world history questions with specific source requirement information. Napoleon and the Battle at Waterloo research papers discuss the end of Napoleon's career as the leader of the French when they were defeated by the Allied forces. Napoleonic Era research papers cover the career and era of Napoleon Bonaparte. African Slavery research papers explore slavery from the point of view of the African Slave Trade. Capitalism and Slavery research papers overview the book by Eric Williams. Paper Masters writes custom research papers on Haitian Revolution and accounts for the mistreatment of black slaves.